After far too many ideas / changes I have finally come up with these. Thanks to 1inch minis by Kris, she has wonderful ideas and encourages you to go and make and improve on her ideas. Her tutorials have inspired me a lot. All variations on the same theme, some really shabby others squeaky clean. Un gran trabajo, me encanta como te ha quedado. My favorite is furniture photo n. 6. Love this! un altro bellissimo lavoro, mi piacciono tutte!!!!! So you’re going for a vintage-themed kitchen? That’s nice! Chalk-painted cupboards are completely versatile. Plus, it is not a challenging task to change its look as you can just put on a new coat of paint. 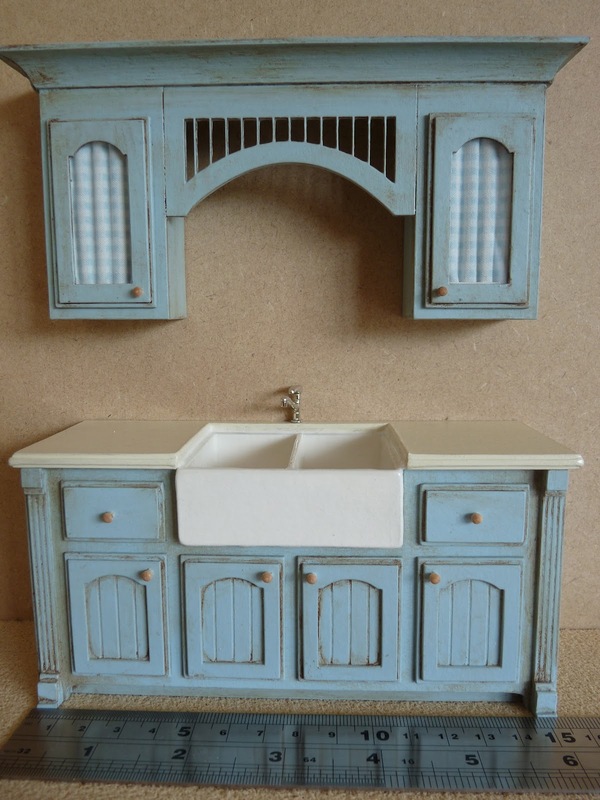 Those miniatures kitchen models are so cute! It reminded me of my doll house! Of all the miniatures, my favorite would be the blue one. Blue will always look good in all and any design.